It appears Nature is on the warpath against military aircraft. A hangar roof has collapsed at a facility near Naval Air Facility Atsugi where a local contractor carries out maintenance work on P-3 Orions in Japan. 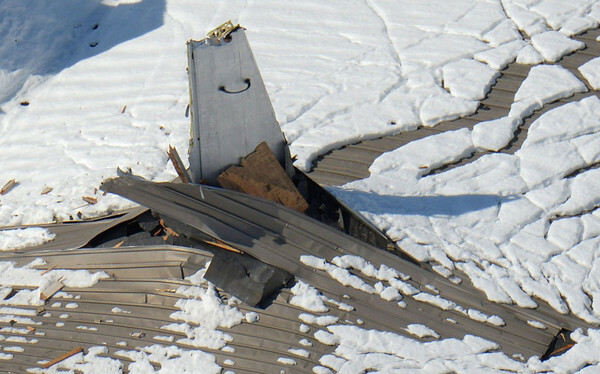 It was believed that the collapse was due to the weight from snow which had fallen on it. No one was injured, but the aircraft in the hangar will have suffered varying degrees of damage. At the time of the collapse there were 10 P-3 (and various sub-types) in the hangar. Four of the P-3s were U.S. Navy aircraft, while Japanese sources have said that the Japan Maritime Self-Defense Force (JMSDF) had 3 P-3Cs, 1 OP-3C, 1 EP-3 and 1 UP-3D inside the hangar at the time of the incident. A quick cross-reference with Google Earth indicates that the hangar pictured below (indicated with the yellow placemark) is the hangar in question. 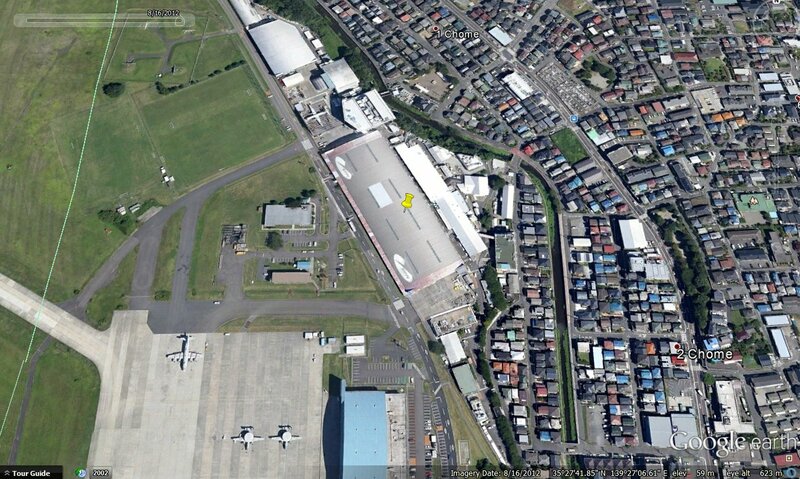 Located at the northeast corner of Atsugi, it is possible to see the contractor's (NIPPI) company logo painted clearly on the hangar roof when zooming in using Google Earth. Click on the thumbnail below for full-sized image.